Do You Need Help Updating Your Resume And Keeping It Current? Is your resume out of date, disorganized or not structured well? Do you question what you should change or update? Maybe you’ve received contradictory advice from people you’ve gone to for resume support, which has left you feeling confused about the best way to hook a hiring manager. Or perhaps you are having trouble getting any meaningful feedback at all. Do you want to know what to highlight and how to make certain issues less obvious so that you can best represent who you are as a professional? Do you wish you knew how to emphasize your strengths, minimize your weaknesses and make an impression that could get you through the door and into an interview? Resumes are exceedingly important professional documents that almost everyone needs. Having your resume in good shape can mean the difference between a short, successful job search and a long, frustrating one. But, chances are you rarely refresh your resume, only looking at it when you have to. As a result, you may find yourself engaging in a complicated resume review while simultaneously trying to manage the stress of your upcoming job search. The good news is that at Dynamic Transitions – based in NYC – we can help you develop a better relationship with your resume. You may even come to enjoy working on it. Through working with our professional team, you can create a powerful resume, while also developing the skills and motivation needed to keep it current. At Dynamic Transitions in NYC, our goal is to help you change an ineffective resume into a productive document that impresses employers and gets you meaningful responses. We can help you develop the skills and confidence you need to feel comfortable and confident working on your resume throughout your professional career. You may have been taught that your resume should contain primarily the responsibilities and duties you held in your previous positions, but many basic responsibilities are already known by employers, limiting how effective that kind of resume can be. With a professional resume review through Dynamic Transitions, our goal is to help you restructure your resume to focus more on value-added accomplishments. Highlighting your contributions and adding meaningful quantitative data to your resume is an important step no matter what industry you are in. With our guidance and support, you can learn how to create a resume that helps you stand out as a candidate that can deliver the results your potential employers are looking for. In some cases, you may feel like your work experience is lacking or that there is no way to make it shine. Fortunately, no matter what level of experience you bring to your resume, there are ways to emphasize how you’ve stood out and the results you have achieved. 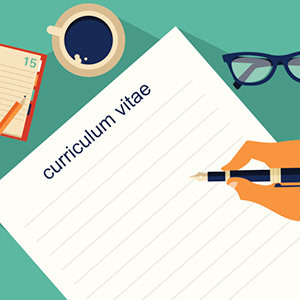 You may also be struggling to write a compelling cover letter or summary statement that accurately describes your professional goals and expresses what you can bring to your desired job. You may want to highlight your core competencies and notable accomplishments, but don’t know how to do so in a short summary. There are proven, effective ways to organize content and structure resumes and summaries so that you stand out. We can teach you how to use industry-specific language in an authentic, reflective way that helps your resume – and you – shine. Your resume should be a living document that adapts alongside your experience. It should tell the appropriate story to the right audience (e.g. prospective employers). At Dynamic Transitions, we provide a supportive environment and concrete feedback to help you develop the skills you need to update your resume on your own, on a consistent basis. When you are comfortable with your resume and engaged in keeping it updated and accurate, you can experience more confidence and less stress about the resume review process. For almost 15 years Dynamic Transitions in New York City has provided professional resume review services to individuals with a wide range of career experience and goals. As licensed counseling psychologists with an educational and professional background in career coaching and skills building, we can help you identify your strengths and learn strategies to become more comfortable with the resume review process. With professional guidance and a strengths-based approach, you can build an effective resume – and resume review process – that will last throughout your career. No matter what I do to my resume, it won’t change my job search experience. 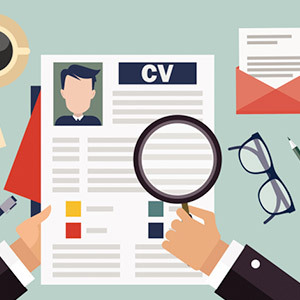 A challenging job search may have you wondering if you really can improve your resume enough to increase professional prospects. But an accurate, compelling resume can be the tool you need that gets you through the door and into an interview with a prospective employer. 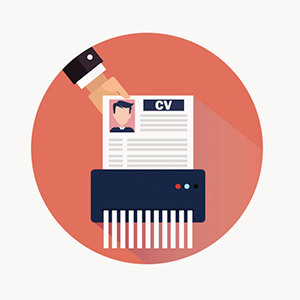 Your resume is one of the most important job search tools you have. A strong resume helps you earn interviews and network effectively. Working on my resume makes me anxious. Consistent work on your resume is an important part of professional development. At Dynamic Transitions, we can teach you how to embrace your resume as a representation of your professional self. And, when you learn to add to, adjust and enhance your resume regularly, it can help reduce anxiety and simplify the process of resume review. My job experience is awful. Nothing can be done to my resume to make it any better. You can enhance seemingly useless or lackluster work experience by highlighting the important contributions you made and the ways you went above and beyond the responsibilities of the job. There are also ways you can deemphasize certain positions and/or highlight important aspects of your past that draw focus away from areas that are less relevant and impressive. When you learn resume review tips and tricks, you can tell a story with your resume, feeling more confident and successful in your job search. The key is to develop a powerful narrative based on the experiences and skills you possess; to create the best picture of your professional self to employers. If you are searching for a new job and need a professional resume review, we invite you to schedule a free 15-minute phone consultation. Not quite sure you need help revising and improving your resume and resume skills? You can sign up for our newsletter, The Search Light, to access additional information and helpful articles on how to review and improve your resume with greater confidence and success.